As a business owner, I have to keep an eye out on my emails on an hourly basis. You never know when your customers will need support. Besides, things can go wrong each day, so you don’t want to miss those important e-mails. Thanks to PushMail, nobody has to miss an important e-mail ever again. 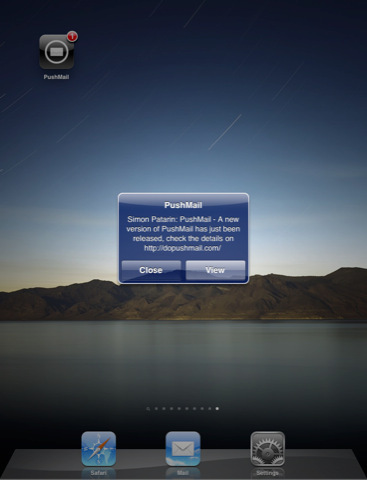 As soon as you receive new mails, PushMail sends you a push notification. It works on iPhone, iPad, and iPod Touch. PushMail makes keeping up with email easy. Not only you can use this app to receive push notifications for each new e-mail received, you can choose a different notification sound for specific contacts (80 sounds to choose from). 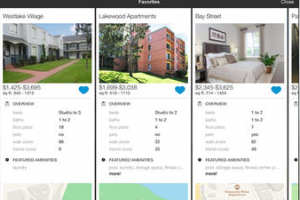 The app works with Gmail, MobileMe, Hotmail, and other e-mail accounts. In order to get this app to work, you are going to need a dopushmail.com account. Everytime a copy of your received email is forwarded to this service, you get notified. The good part is, your contacts will never have to know about this service. 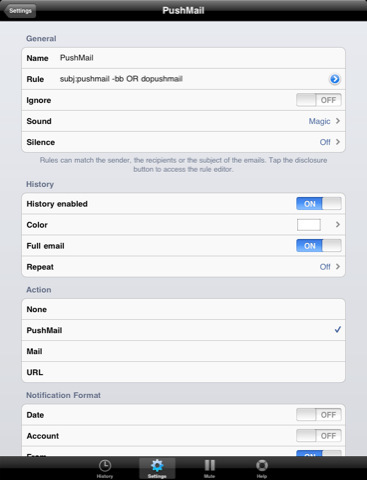 PushMail’s settings can be configured to fit your needs. PushMail may not be for everyone. Some people don’t mind responding to their e-mails once a day/week. However, if you have the need to keep up with your e-mail at all times, you need to give PushMail a look.